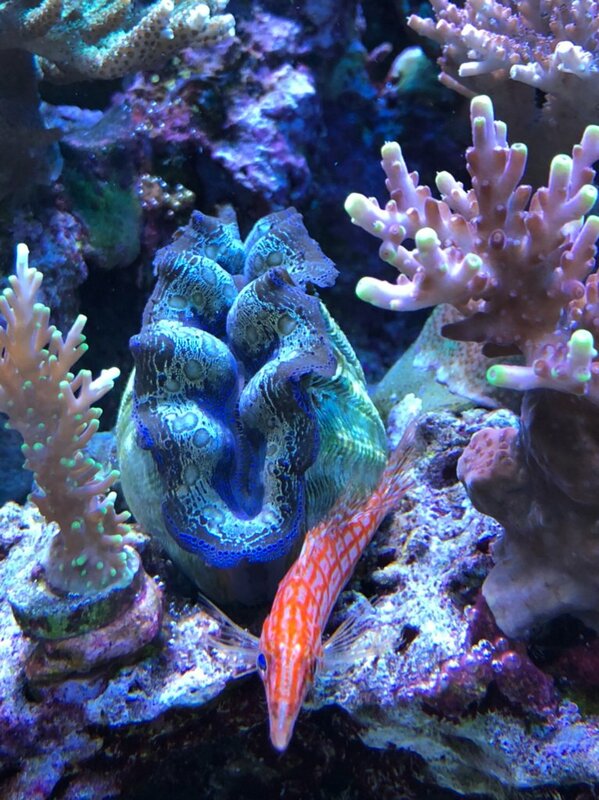 Here are some of my clams from my previous tanks. there were one of the best clams i ever had. These guys are alive and well in the new 180. 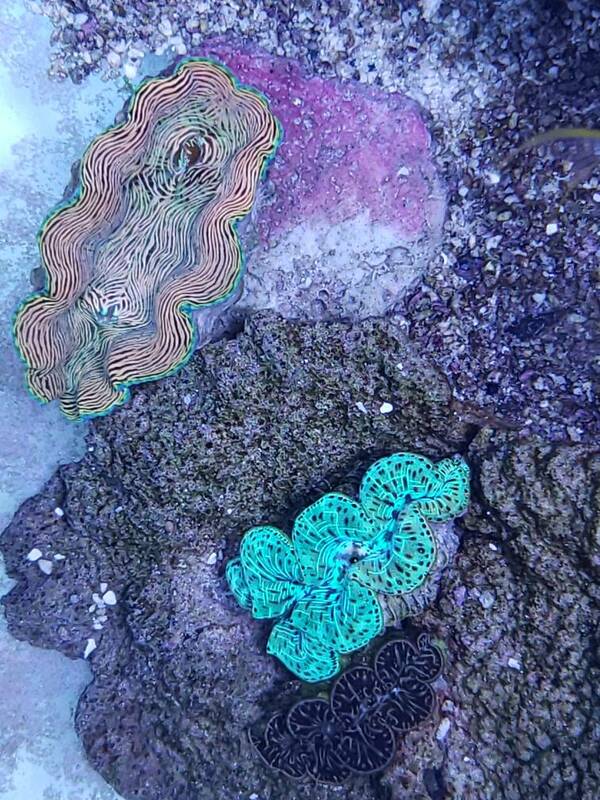 2 derasas each about 12 inches, one bigger slightly and one Squamosa that's just shy of a foot long. You spent how much on what? 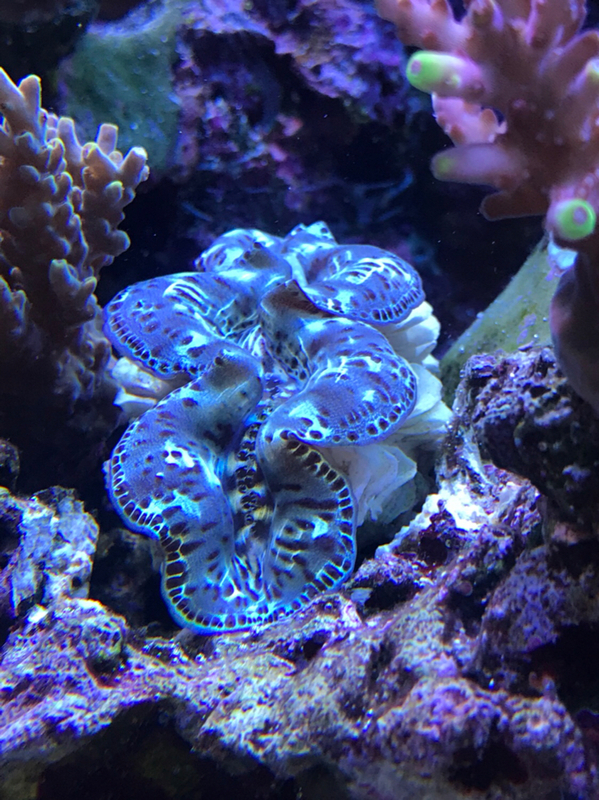 Couple of my clams. Settling in well. My Cirrhitops fasciatus (aka Blood Red Hawk) chillin on his favorite perch. Excuse the scratches in the glass. This system is long in the tooth at 16 years running non stop and 2 children that liked to clean the glass,, wouldn't have it any other way! The kids are now moved away. 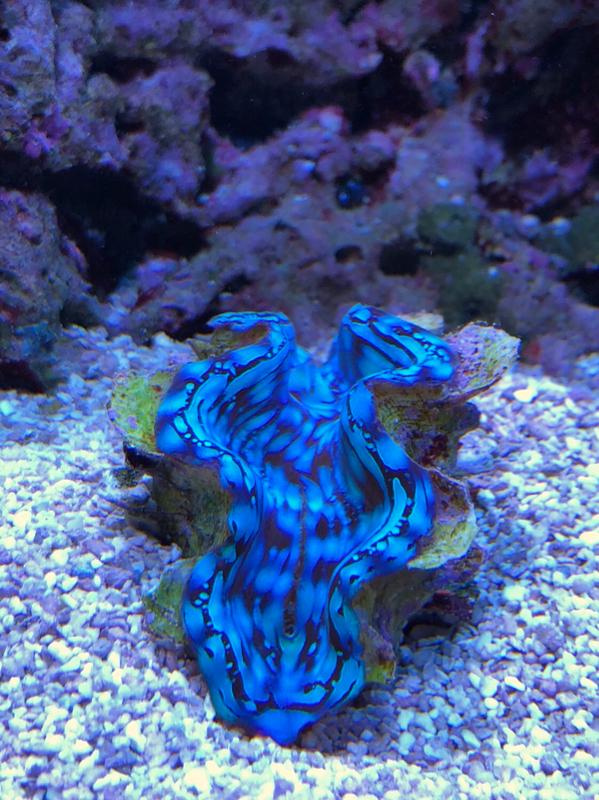 The Derasa Clam is, as best I can remember, 5 or 6 years old. It was less then 2" when I received it from Blue Zoo. You can seen it has grown. I put a ruler in front of the glass for reference. Last edited by Dean Ladd; 01/08/2018 at 04:29 PM. Thank you RF. It is an amazing creature. I decided to pull the trigger on a stripe blue rim from LA. It will be here Thursday. I will be QTing that one for 30 days don't want to risk transferring PM to my current one. 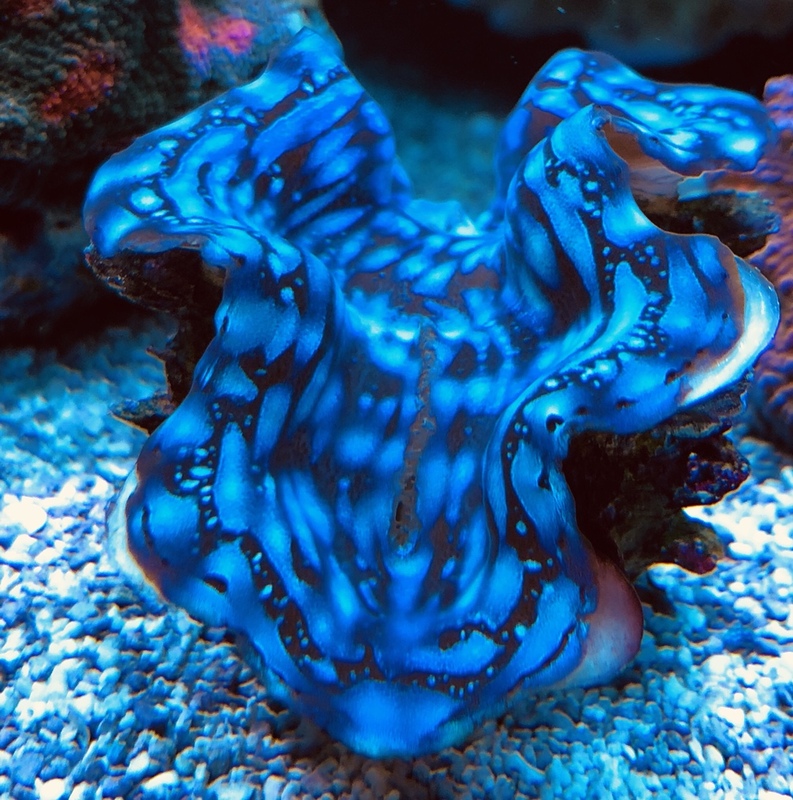 How’s the new clam doing? Any pictures of the beauty? Here’s my newest addition. I haven’t seen many deresa’s around much where I live. Hope it does well. Unfortunately the stripped clam was DOA. LA was great as usual and credited my account. Although I do not believe shipping during this cold spell was the cause I am going to hold off reordering another until the weather gets better. Last edited by kipper31; 02/10/2018 at 11:28 PM. Oh my! 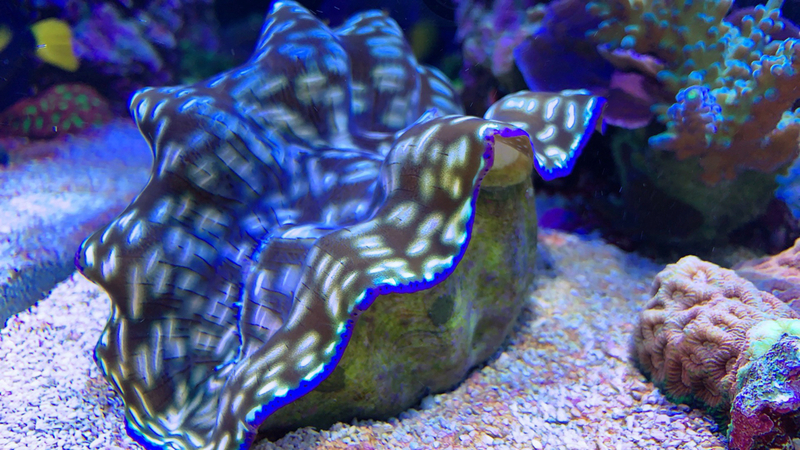 That is a beautiful Clam. It is a Crocea not a Deresa? Is that correct? 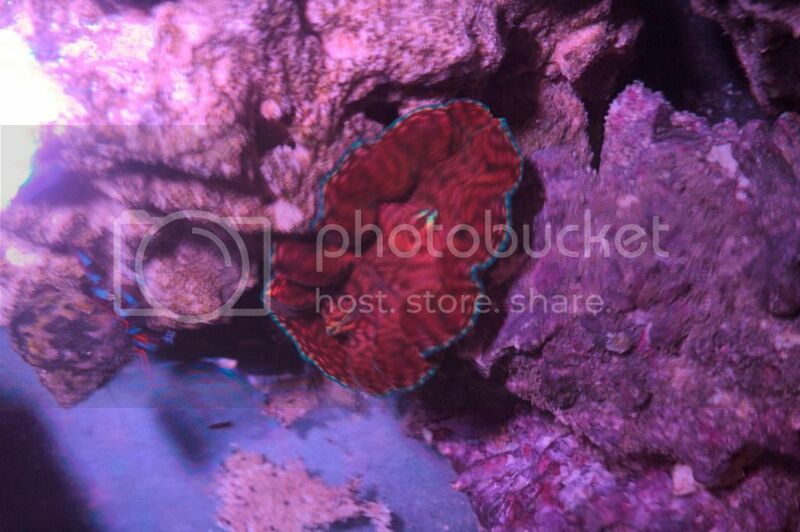 Love the Hawkfish hanging out. A month in and looking happy. Good sign! Humm!!! Maybe rethink my desire for another Dersea. Pretty, I may be wrong but your crocea looks to be showing signs of gaping. Notice how the flesh is pulled away from the shell below the left/ intake value, which is also wide open. Both are signs of stress. I hope I am wrong. Yes thankyou for your observatioins. 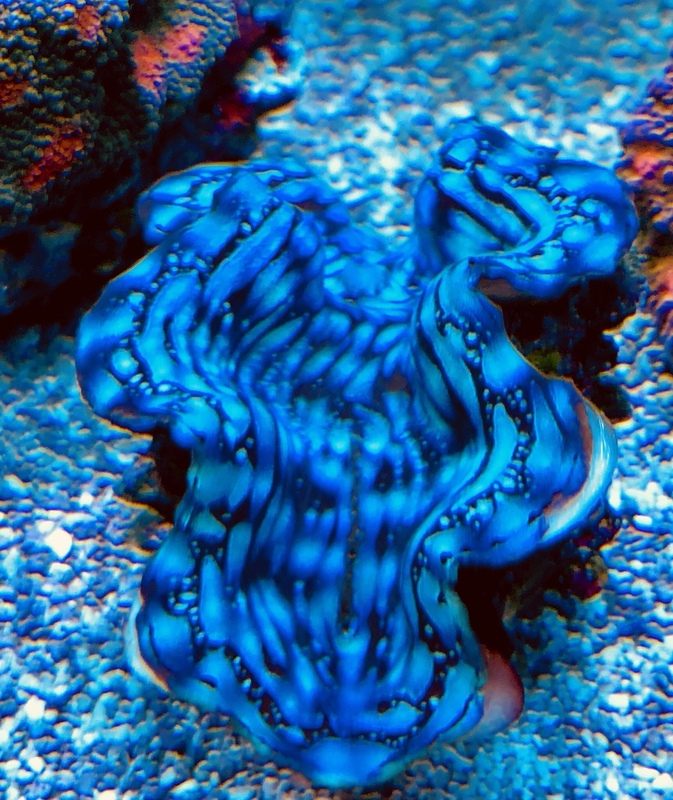 Its sort of just the photo,the clams healthy as can get. 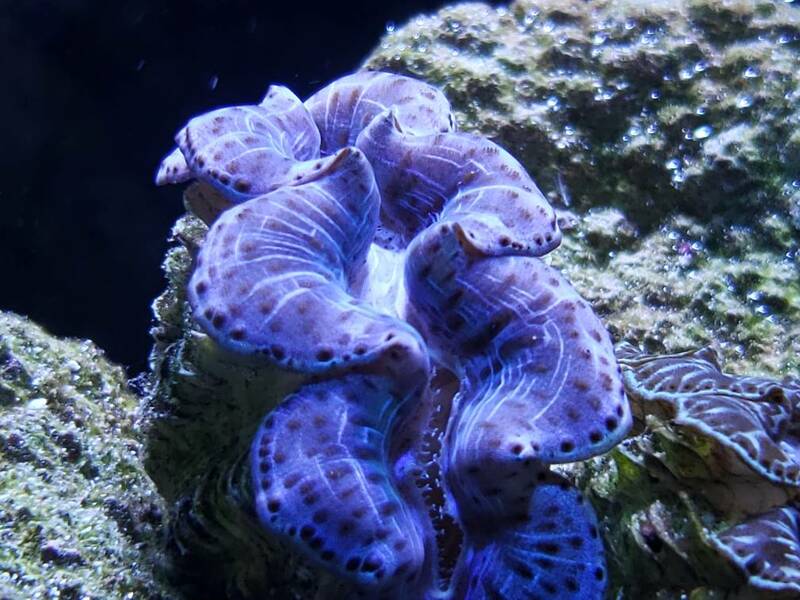 I have about 40 clams and i had just shifted them during water change as well,this one sort of a funny angle as he’s attached to a uneven rock etc. Last edited by kipper31; 02/10/2018 at 11:30 PM. 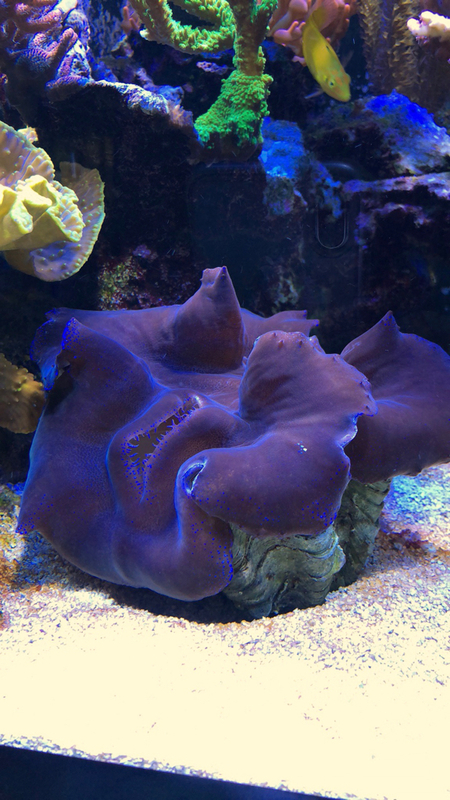 My Blue Squamosa is finally growing & doing very well. Purchased in November of last year. 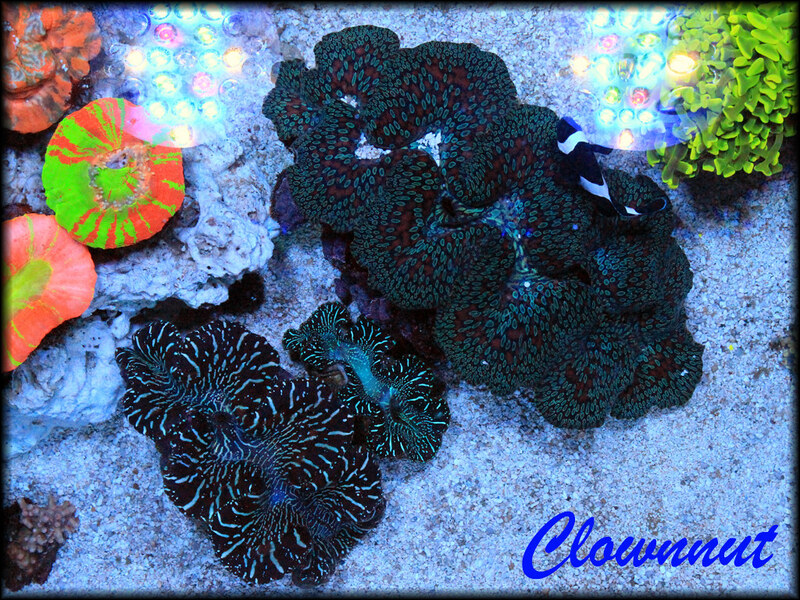 This is a very nice Crocea. I have been looking for nice Crocea like this but it seem that I cannot find these for sale anymore. I am not sure why. Time to revive this thread with my newest additions. 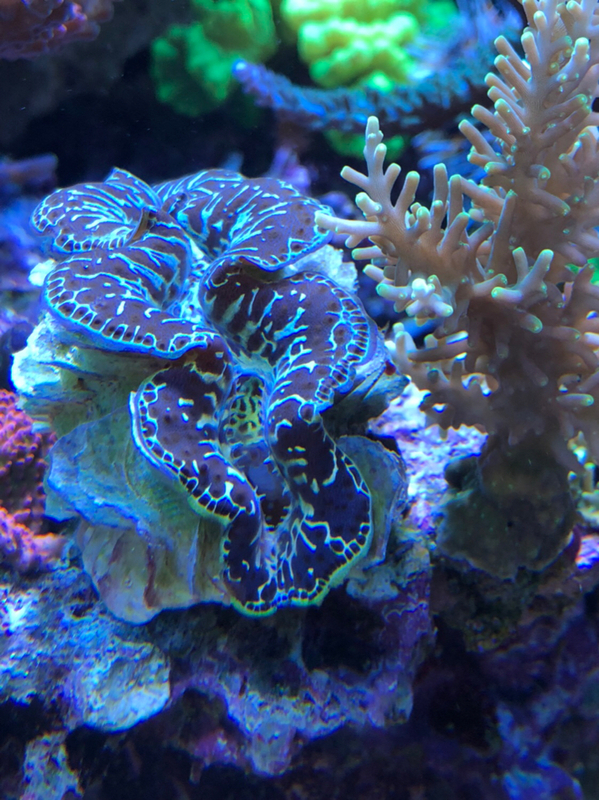 Finally have some tridacnas to show again. Been years since I had any. *blackthunda stands for a black Mistubishi 3000GT with black rims I used to own. Don't get any funny ideas! 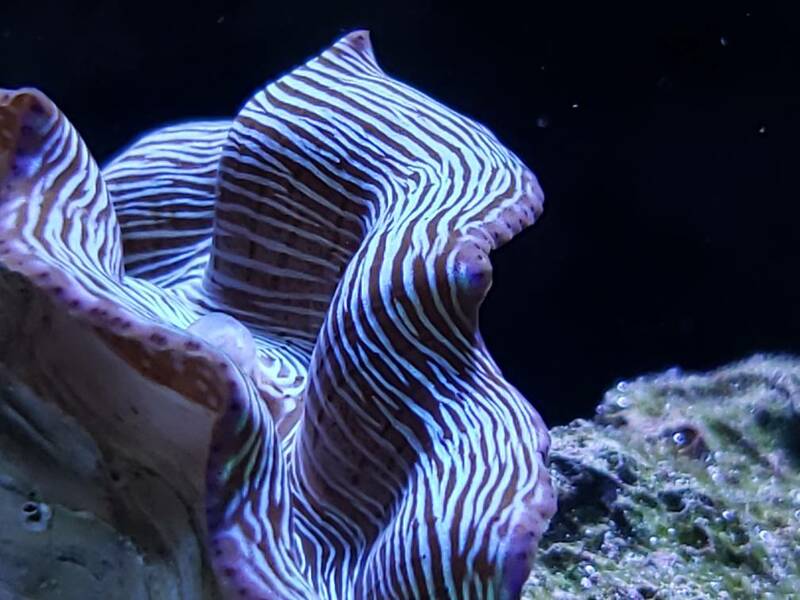 Current Tank Info: 200 Gal custom tank with dual corner overflows, 80 gal custom sump/refugium, Neptune Apex controller, Dual Lumenmax Elite reflectors with 250 Radiums, SWC 160 Cone Skimmer, 2x Jebao WP-25....and some other stuff.